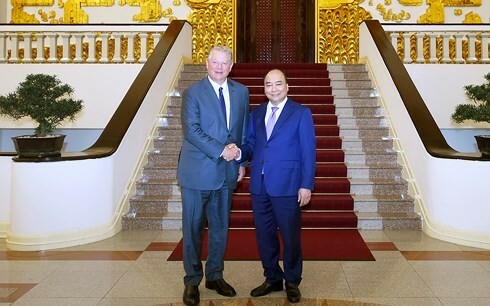 (VOVWORLD) - Prime Minister Nguyen Xuan Phuc received former US Vice President Al Gore on Friday in Hanoi, where he asked Mr. Gore to work to get US enterprises invest in renewable energy in Vietnam. Mr. Phuc said Vietnam always considers the US one of Vietnam’s leading partners and wants to develop their comprehensive partnership effectively and practically for the benefits of the two peoples and for peace, stability, cooperation, and development in Asia-Pacific. The PM called on both Vietnam and the US to forge closer trade and investment ties, adding that Vietnam has grown stronger and more independent and successfully integrated into the world, contributing to regional cooperation and development. 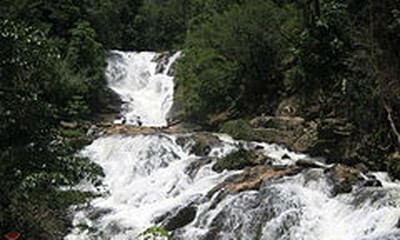 Former Vice President Gore said he was impressed with Vietnam’s vibrant growth. He called on both sides to boost cooperation in wind and solar energy of which he said Vietnam has great potential.